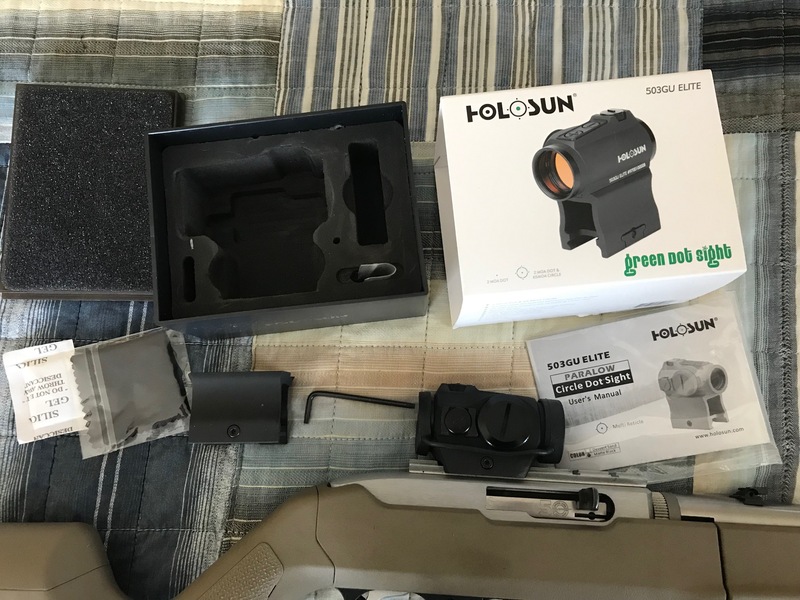 For sale is my Holosun 503 GU Elite Green Circle Dot sight. Price is $150. It turns out I have an astigmatism and am selling this to get a prism sight. It has been on my Ruger 10/22 as pictured. 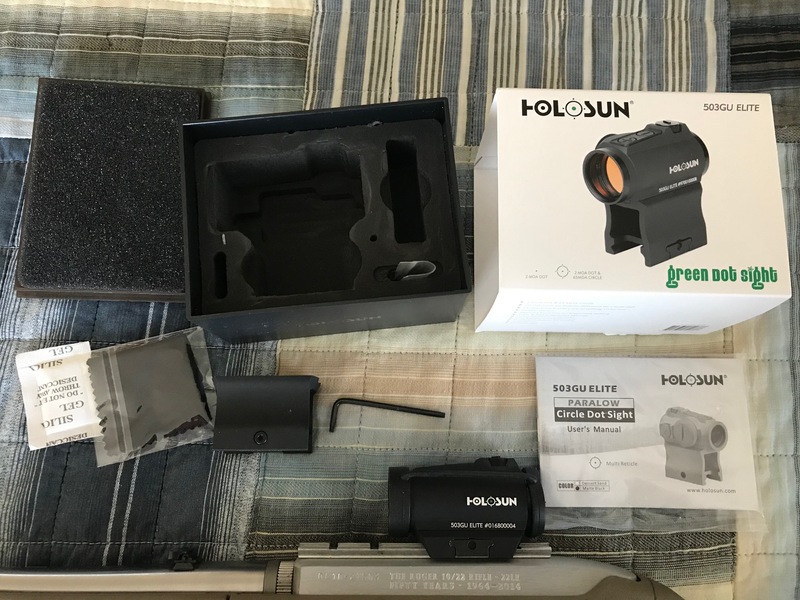 Included is the original box and parts, including a mount for an AR style rifle. The sight works great. The circle can be turned off so that its a dot only. The sight has very long battery life with a 2032 battery. I take PayPal only.